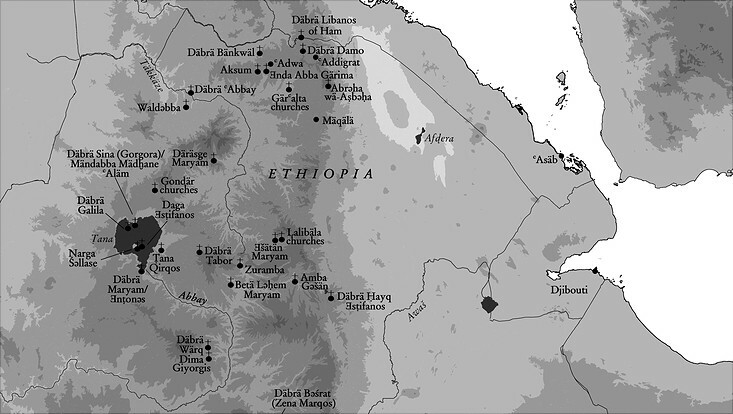 An area of ancient written culture from the 1st millennium BCE, the Ethiopian highlands have been home to a complex literary tradition (predominantly in Ge'ez) that has no parallel in sub-Saharan Africa. Its emergence was determined by Late Antique culture (Byzantium including Egypt, Palestine, Syria, and the Red Sea), Mediterranean cultural encounters, and the African background. The earliest known texts were translations from Greek, later works were adopted from Christian Arabic (esp. Copto-Arabic) literary tradition, in addition to a rich local written production. The complexity of literary history is fully reflected in the changes in grammar, lexicon and stylistic means of the Ge'ez language. During the years 2014-2019, the ERC Advanced Grant TraCES (Grant Agreement 338756) will for the first time analyze in detail the lexical, morphological and stylistic features of texts depending on their origins using the achievements of linguistics, philology, and digital humanities. An annotated digital text corpus of critically established texts will be created. Frequency and collocation analysis will reveal changes in grammatical and lexical choices across centuries. Novel ways of visualization of textual features and intertextual relationships will be offered to provide insights into the structure, history and evolution of texts. The resulting new understanding of the history of the Ge'ez language and of the Ethiopian creativity and literary activity will help establish features and criteria that may be helpful in determining the origins of texts when the direct 'Vorlage' is missing. 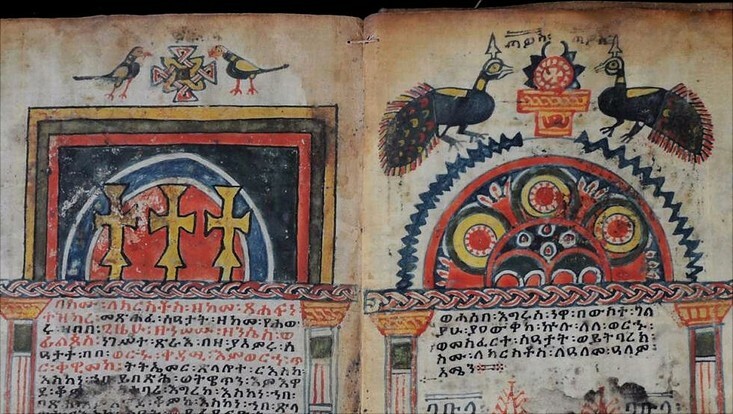 The literary transmission and dissemination processes will be analyzed by contrasting and connecting Ethiopian Late Antique and medieval heritage with its parallels and antecedents in Near East and Mediterranean, contributing to our understanding of the cultural networks of the Christian Orient. A number of valuable research tools have emerged as by-products of the project, including an Annotator (GeTa), the morphological parser of Ethiopic, and an electronic dictionary based on the 1865 Lexicon Linguae Aethiopicae by Dillmann (http://betamasaheft.eu/Dillmann/). The Christian Ethio-Eritrean highlands have long attracted scholars of Semitic Studies, Christian Orient and the Bible for a number of reasons. A peripheral area of Christianity since Late Antiquity, this land has preserved a written culture spanning three millennia that provides an ideal case study for the understanding of the early missionary processes and formation of a Christian Oriental mentality. The main scope of the TraCES project is a new approach to the study of a written heritage: a literary history in its connection to language history as well as material transmission history. 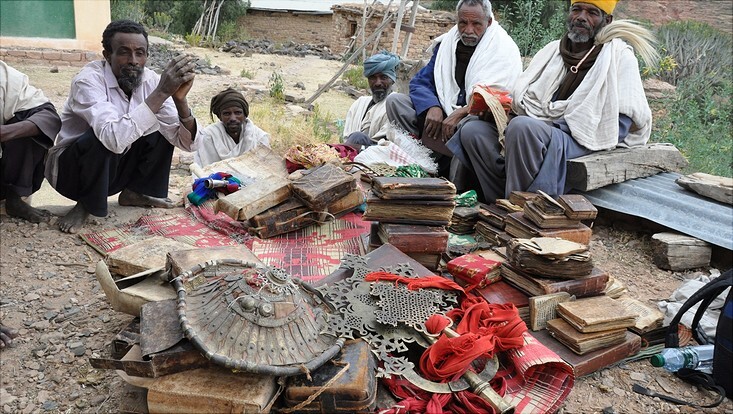 Beginning in March 2014, the international team has been working on the various aspects of research towards a new interactive environment for the study of the Ethiopic language and literature. Ge‘ez, a Semitic language of the South Semitic language branch, has remained the by far most important vehicle of written knowledge throughout Ethiopian history until the nineteenth century. The chronologically and geographically diversified analysis of ways of expression in this language will open new possibilities as to the interpretation of the Ethiopian textual heritage – and may serve as a model case for other written traditions. The project shall produce a significant annotated digital corpus that will be analyzable on many levels (linguistic, philological, geographical-historical). Preference shall be given to texts where parallels in the source language (Greek and Arabic) have been established.